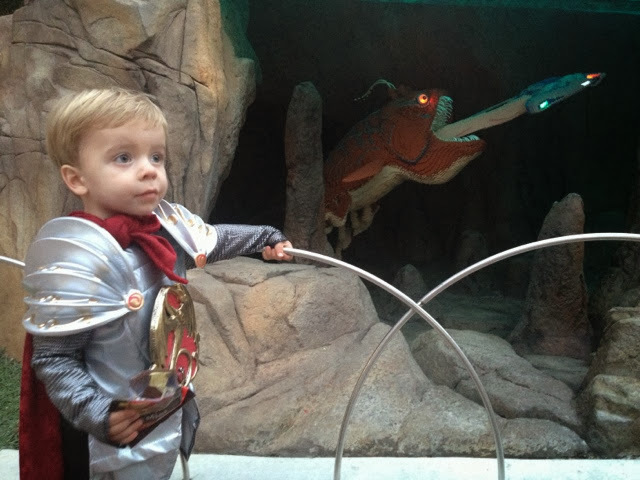 What do you do in San Diego with a toddler for Halloween? 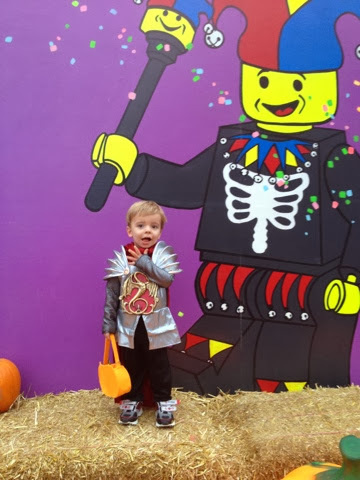 Go to Brick or Treat at LEGOLAND! 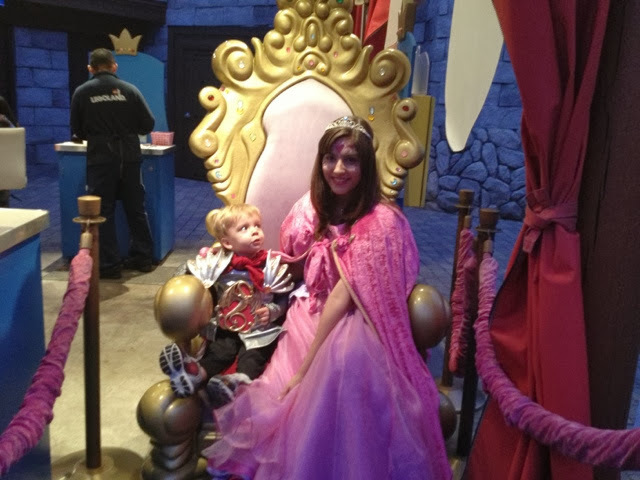 We took our little knight to LEGOLAND California Brick or Treat party last night and he LOVED it! 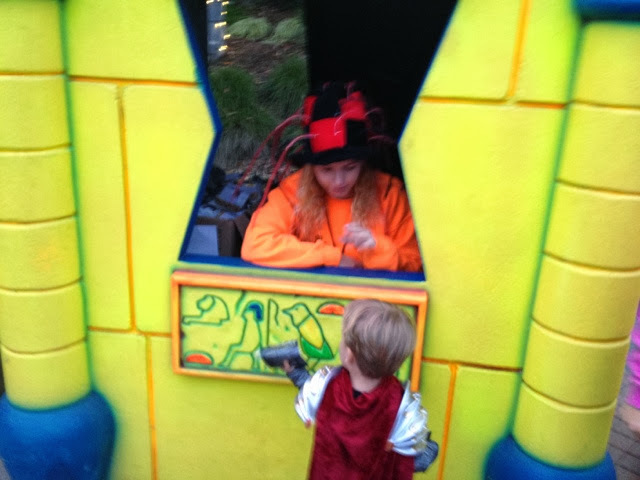 You get to trick or treat in little treat stations placed around the park. The lines are long but they go quickly. 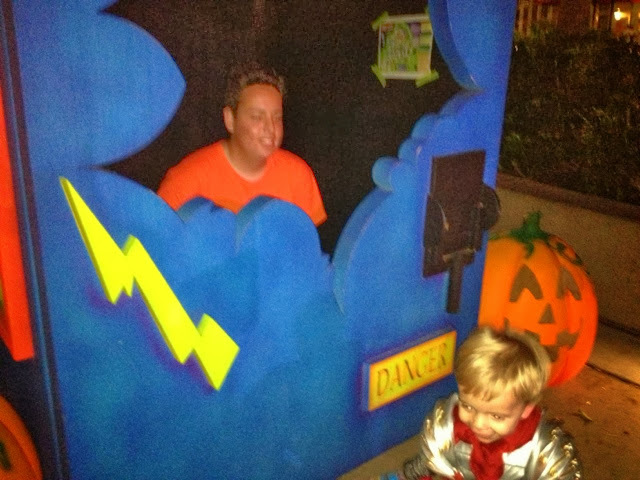 Fun fact - I designed some of these treat station houses years ago! They gave out Clif bars and other good snacks, this year. The little guy is becoming a pro at this Trick or Treating thing! We like to go to Sea Life when they have these big crowded events at the park. Our favorite room is the first one you go in, with the slide. We always take our time in here, and slide a few times. The turtles are my favorite! 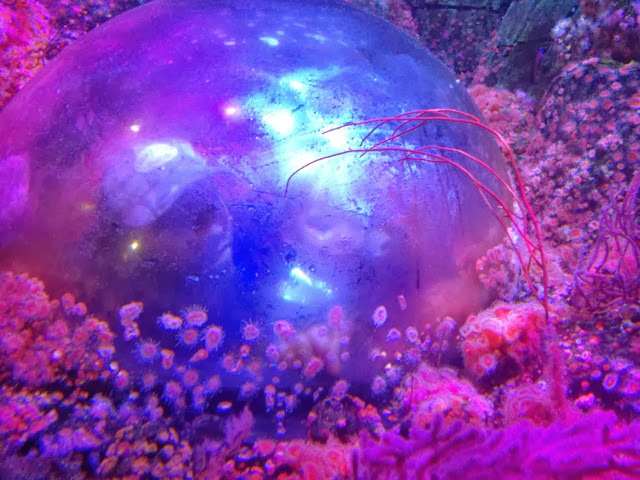 The little guy really likes to build on this sandcastle in Sea Life. It is a nice place to beat the crowds and get a little build time in. 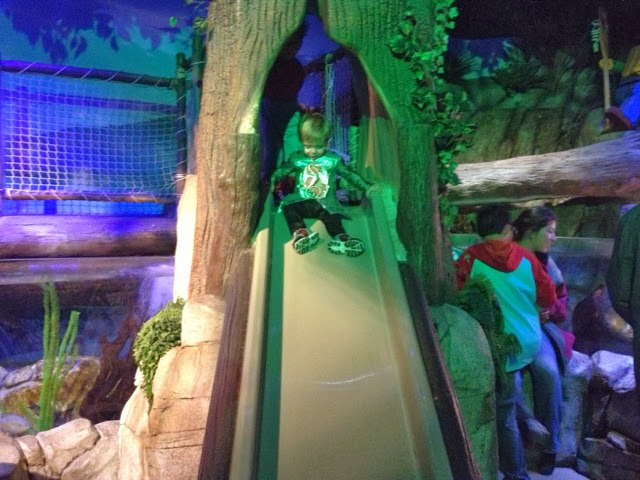 He also likes all the fun interactive stuff, and of course, the fish! 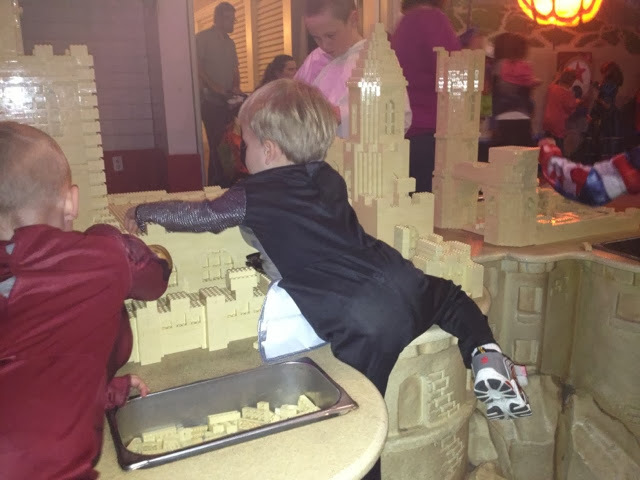 Miniland is where the party is at, but our little guy really just likes to check out all the mini cities and fish. Here's another fun fact - Mom and Dad designed and built LEGO models in miniland. We are so happy that he loves this place as much as we do. 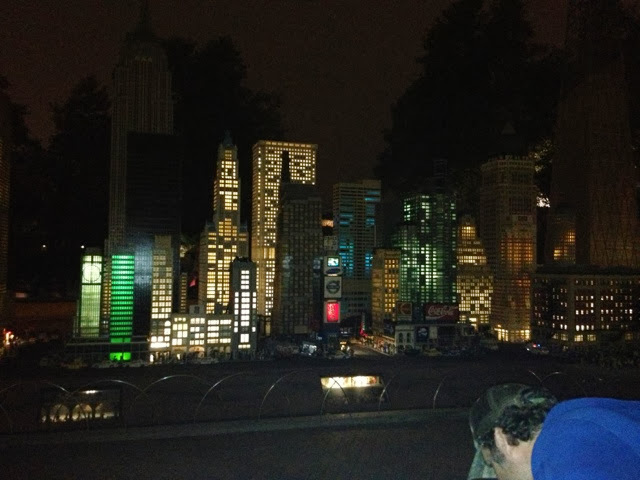 One of the coolest things about partying it up in miniland is not the bands, or shows, or costume contest, but getting to see Miniland at night. It is a little sad that a lot of the lighting has been removed, but at least NYC still lights up the night. I guess they just don't see the value of lighting miniland because the park isn't open that often at night, but maybe someday they will put a little money into lighting again. I know maintenance is an issue as is cost, but it was so much cooler when all the lights used to work in the other cities, too!!! Las Vegas was dark! Boo. I braved the crowds last night with my jogging stroller. We bought toys, food, as did the thousands of other people, there. LEGOLAND - put aside some of that cash so New Orleans can pay its electric bill and get their streetlights and parade moving once again.